Is there such a thing as the best beaches on Phi Phi Island? All the beaches are fabulous and unique with soft, silky sand and sparkling clear water. Phi Phi Island is located to the west of the knee of the Andaman Sea just 45 km from Phuket or Krabi Provinces. Phi Phi is technically made up of two islands - Koh Phi Phi Don (home to Long Beach) and Phi Phi Ley (only accessible by tour or chartered boat). The main island of Phi Phi has excellent seafood restaurants, bars, shops and beaches that defy definition. Tropical beaches line the southern and eastern shores of Ko Phi Phi Don. 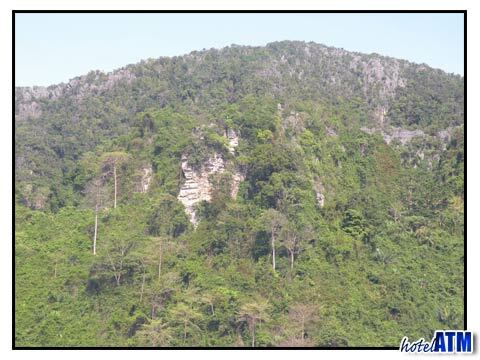 Lime stone mountains surround the bays and offer stunning panoramic views along the eastern and southern shores of several beautiful beaches including Laem Tong Beach, Loh Bagao Bay, Long Beach and Loh Dalum Bay. Considered one of the best beaches on Phi Phi Island, Loh Bagao Bay is wide and perfect for a variety of water sports. Laem Tong Beach, also considered "a best" beach on Phi Phi Island and lies to the north of the island. It is a beautiful beach that is ideal for snorkeling or diving. Another "best" rated beach on Phi Phi Island is Long Beach. Long Beach is located on the southern most type of Phi Phi Island and is known for its abundant coral beds and an excellent diving spot. Loh Dalum Bay is a true paradise. It is quiet and located 2 minutes away from Tonsai Bay. Tourists often hire a boat to travel around the scenic shores of this magnificent beach. Loh Dalum Bay appears to have fallen off a postcard as it is extremely quiet and picturesque and is located just a few minutes from the pier and Tonsai Village. From here, visitors can hire a boat to appreciate the scenic panorama around the island for a substantial fee. There are other splendid beaches on Phi Phi Island including Hin Khom Beach, known for its "hippie" bar; Loh Modee Beach, with a fabulous sandy shore; Runtee Beach and Phak Nam Beach. Whatever beach you choose to spend time out, you simply cannot go wrong. Some offer more activities than others, and some draw larger tourist's crowds, but the fact remains -- they are all part of the paradise known as Phi Phi Island. 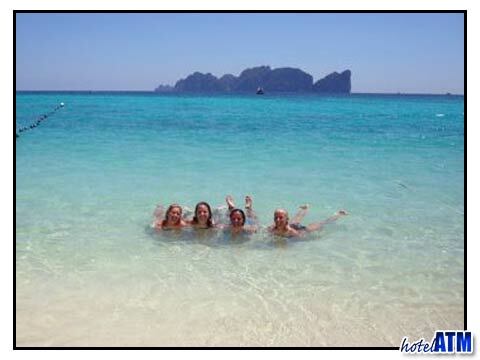 Phi Phi Don Island: Laem Tong Beach, Loh Bagao Bay, Long Beach, Monkey Beach (Yung Gassem), Tonsai Bay. Phi Phi Ley Island: Loh Samah Bay, Maya Bay.